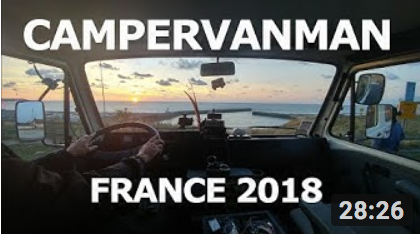 I’ve just been through the process of importing my dream camper van (by dream read: just old enough, and driven far enough to be affordable!) 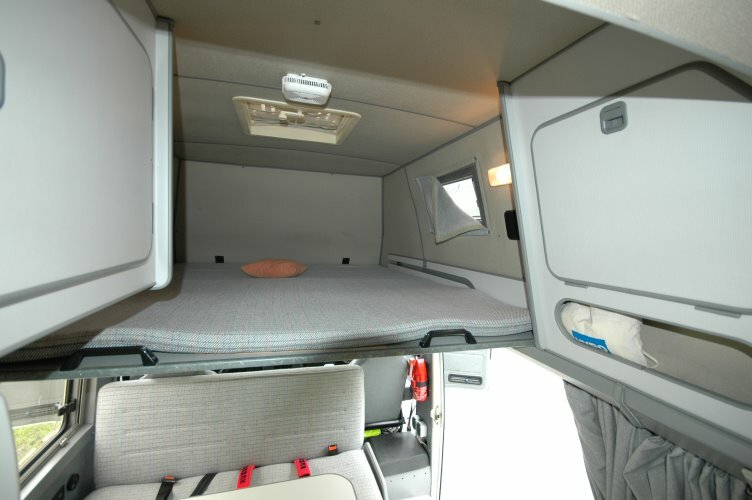 to the UK and thought I would dispel some myths around importing a LHD camper van into the UK. 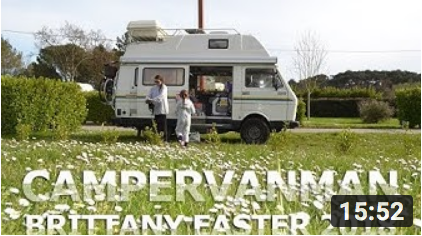 I’ve been a campervan owner for many years. 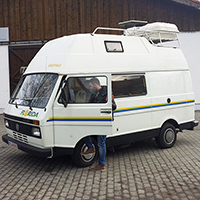 In fact I’ve converted two of my own – a Hanomag Henschel in ’94, and a VW LT mk1 in 2003. I’ve also owned an ’08 Adria Twin (on the Fiat Ducato base) and have written about camper van layouts in some detail. Since the birth of our daughter Lola we have been van-less. 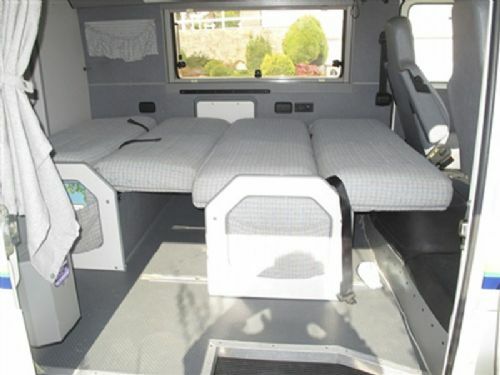 We had a great last trip in the Adria Twin the summer before the birth, but ever since then I’ve been receiving email alerts from both ebay.co.uk and mobile.de for new vans. 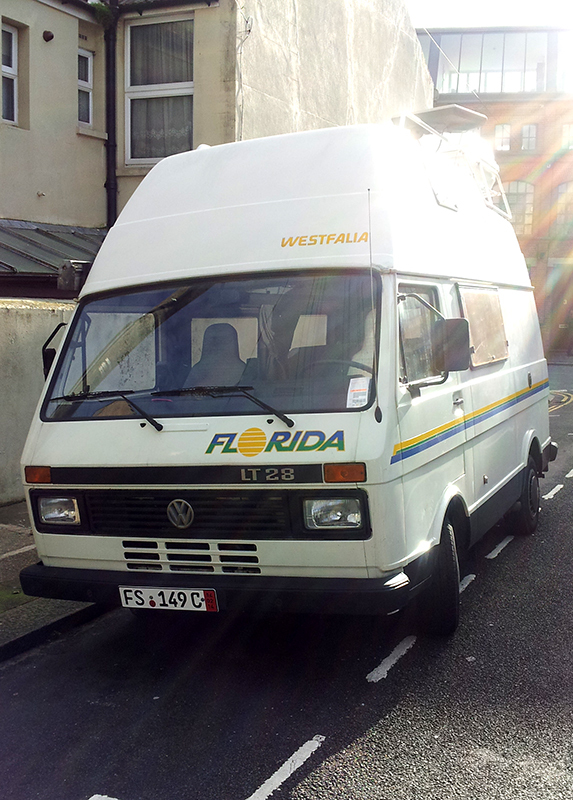 Why the VW LT Westfalia Florida? 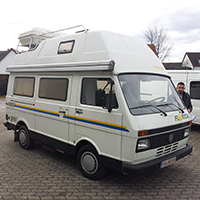 Importing a VW LT Westfalia FloridaMy first conversion was on the wide and long Mercedes 508 chassis and had loads of room to move around in as well as fun stuff like swivelling twin airline seats at the front! Moving into a mid-terrace Victorian property meant we needed to be a bit more realistic about what we could park outside in the road. 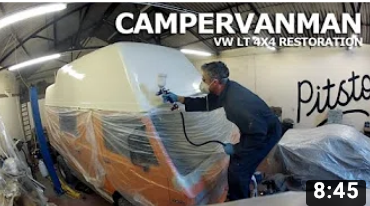 We went for an LT for both it’s external and internal dimensions – it’s also been long heralded as the perfect square bodied vehicle for camper conversions. 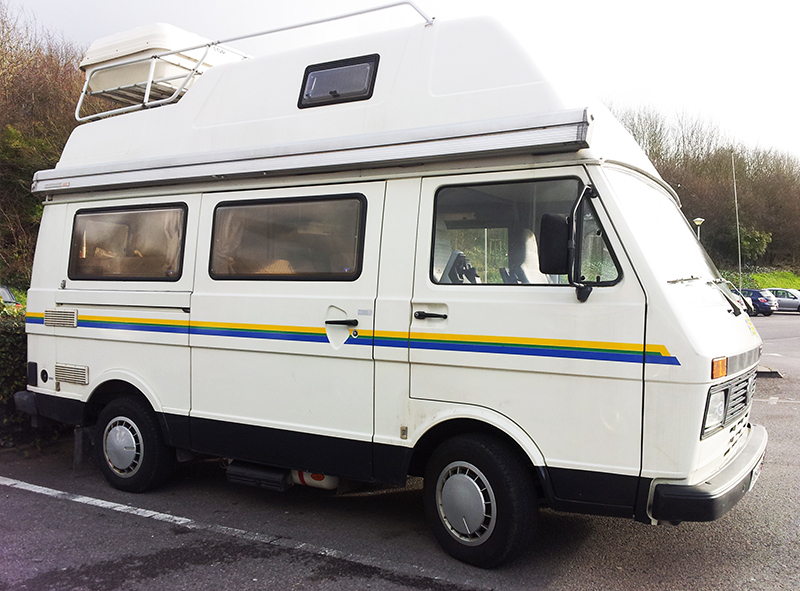 Having bought one and converted one I’ve always admired the clean German efficiency of the Westfalia Florida conversion on the LT chassis. As with my original LT conversion you can pretty much park it in a regular car parking space and it turns on a dime. The only real difference (other than it will feel like a commercial vehicle if you’ve not driven one before) is that it’s very high and can roll round corners and in the wind. 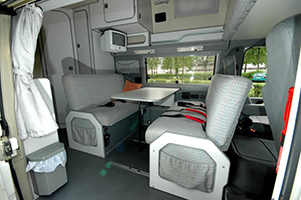 However it’s the interior camper conversion that mass the Florida so special. 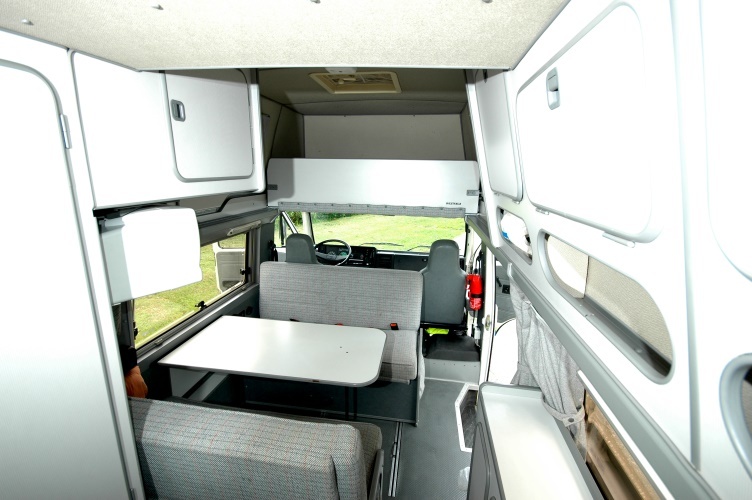 Packed into the 5m van are 6 belted front facing seats, 2 double beds (the biggest of which could easily sleep 3 kids) and dinette that sits 4 adults easily, a kitchen (OK, no grill or oven but a fridge, 2 burner hob and sink) and a shower – all of which belie it’s external dimensions. So I was getting my email alerts and starting to build a picture of what is and isn’t a good deal. 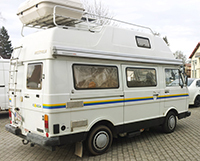 I was also amazed the the prices of the VW Westflia Florida seemed to be going up rather than down as time went by – a reflection of the vehicle becoming rarer and more classic. 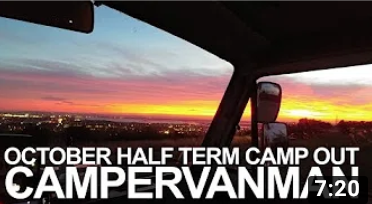 I knew that I was considering driving back from Germany so I always had in mind the cost of the diesel and the probability of at least return flights to check the van out. However as I was in no rush I was willing to accept that given the right photos and the right type of relationship with an English speaking dealer (a long shot?) that I may just need a one way Easyjet flight before diving back, which could considerably reduce the cost. As it happened this is what I ended up doing. I applied for the DVLA import pack, but this did nothing other than confuse me and put me off for a while. 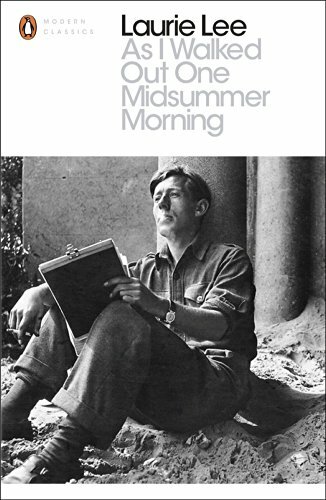 However I can now say that you really needn’t worry about seeming complexity as it’s easy when you get there. People often talk about how Europe isn’t any cheaper than the UK these days so importing makes less sense, however if you’re after a vehicle such as the LT Florida which was never made RHD then you’ll have no choice. As it happens one or two have come up for sale in the UK, but the ones that do tend to be marked up unreasonably to my mind. In the end I have got the vehicle I want in the condition I want for an awful lot less than the UK, and actually comparably cheaper to other European options on the market at the time. However I really believe that this was luck in my case. In the end the dealer I found (I was hoping to find a dealer to pay by Visa but in the end I took cash as the guy didn’t accept cards) was a 10 minute taxi ride from Munich airport which was a real help in the whole process. It took this as fate that the vehicle would be a good one! So I bought a one way Easyjet ticket and flew out on the morning flight, fully aware that I may have to jump on the evening flight home with my Euros, potentially facing the cost of having to change them back to pounds again (I believe Travelex, via Halifax, offer to do this for free however). Having received the email alert from mobile.de, marvelled at the photos(! ), I called and spoke to the dealer. The first call was hopeless as no one spoke English, however they did manage to say “call later”. Second time round I spoke to a pleasant sounding young lady briefly (I took this as a positive i.e. they weren’t all dodgy blokes!). Then I spoke to a cool sounding young guy who was very reassuring about the condition of the vehicle and the fact that everything (‘all the gadgets’) worked inside. I booked my flight. I booked my flight, but first I rang my favourite camper van insurers Adrian Flux and sorted my UK insurance based on the VIN number (which was as easy as it sounds… one you have the VIN number), then (instead of using my credit card) I got a personal vehicle loan (which thankfully came through within 24 hours), changed the funds into euros (again handled in 24 hours by Halifax/Travelex), and set my alarm for 04:15 for the taxi to Gatwick! It was early and thankfully the van hadn’t yet been started. 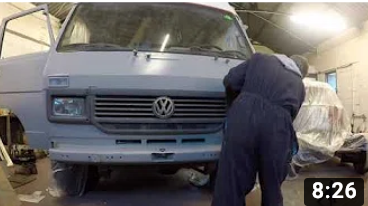 I looked the body work over and sure enough it was probably in the best condition I’ve ever seen a 1990 VW LT in. In fact the owner had kept it indoors! That alone was a huge plus in my buying consideration. I looked underneath as much as possible and again was amazed to see that it looked so clean under there, and waxoyled in most places. Another huge plus. We flipped the engine cowl which sits between the front seats in the LT, and again I was amazed at the condition of the engine. I checked the dipstick and the oil was so clean it looked like water on the stick! Another plus. We started the engine. Nice quick responsive start. Some clear smoke from the exhaust. No usual rattles. Went for a test drive – all good. No odd clutch noises, no turbo problems, and very quickly no smoke from the exhaust. A huge plus. 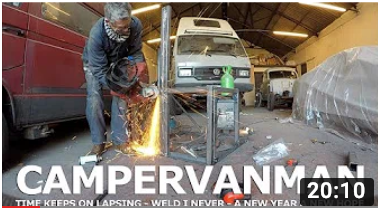 Fingers crossed for the camper interior. Back at the garage we stepped into the back and spent time going through everything. 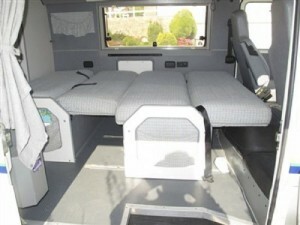 The van had been recently gas tested and everything worked well. Did I say that the one previous owner was a mechanic?! VW LT Westfalia Florida InteriorI won’t bother you with the paperwork deals in Germany, but if you’re doing what I did make sure you get the dealer to sort your export plates with you. You need these to drive back with. They give you 3rd party cover on the road back to the port and will be enough to cover you for 2 weeks when back in the UK too (as long as you get UK insurance on your VIN number). There is a cost, an explanation of which I found incomprehensible. Then you need to ‘anglofy’ your vehicle. Mine’s over 10 years so certain things get waived. 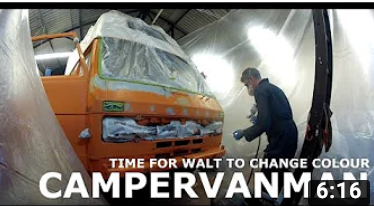 There’s no published rules, but if you put bought beam benders on you needn’t get the headlights changed or adjusted and move the/add a rear fog light to the off-side, you should sail through if you’re vehicle passed it’s Germany TUV test. Do this as soon as you can and get the MOT done as you’ll be waiting for the DVLA after you’ve sent in your forms. VW LT Westfalia Florida InteriorPreviously you could pop down to your local DVLA centre and get someone to help you complete the rest of the required paperwork. Now you have to rely on guides and the phone. Thankfully in my experience the call handlers are prompt after you’ve got through the complex call centre answering service. The one form you’ll need to fill in is called a V55/5 form for used vehicle registration. It’s a bit of a dog as there’s loads of fields that aren’t easily understood. However the guides do help, and mostly you can leave blanks if you’re unsure – do this and send in your German registration document, which you hold have received when you went to get your export plates done in Germany. A little more long-winded than intended but hopefully easy to follow. Export plates – £100 approx. 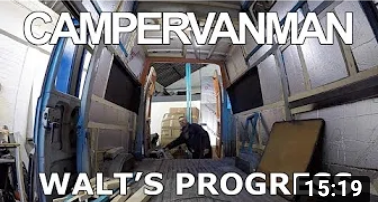 How much headroom is there in the back (lowest part) of the van ?